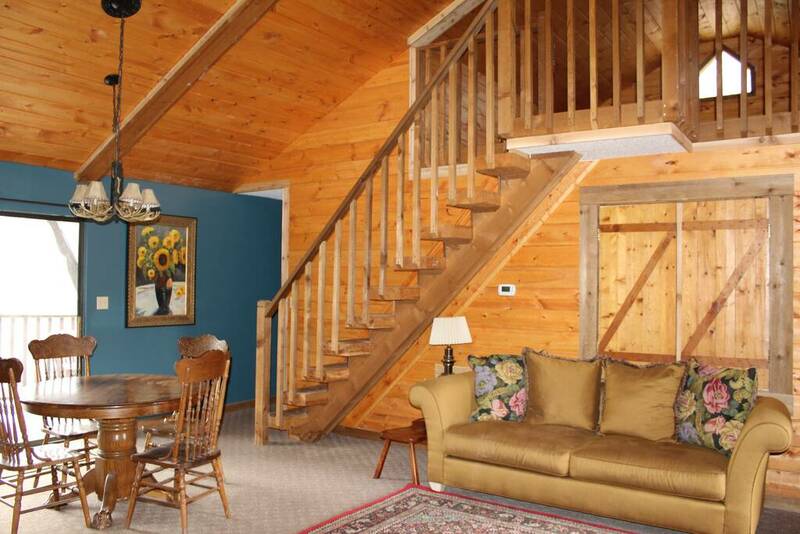 Looking for the perfect spot for a romantic getaway or family vacation? 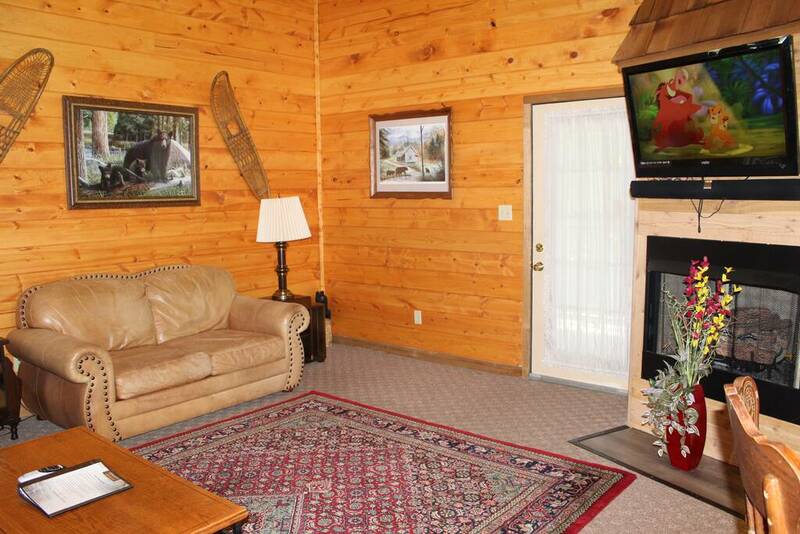 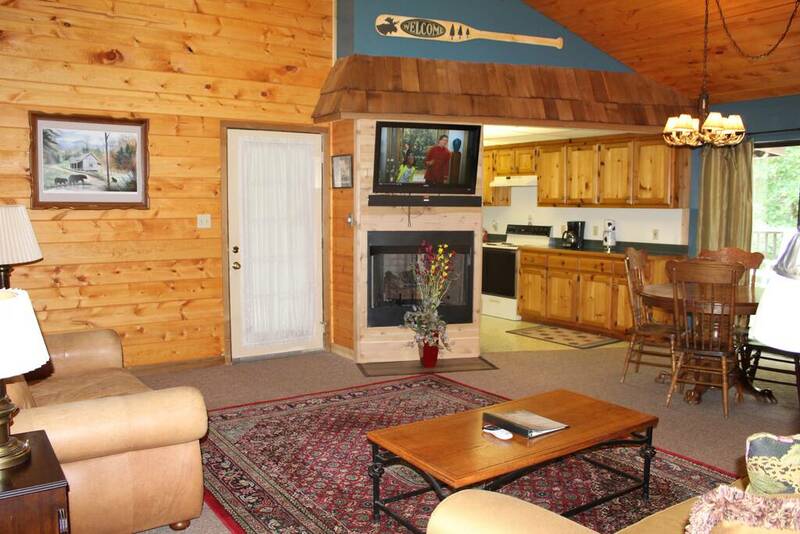 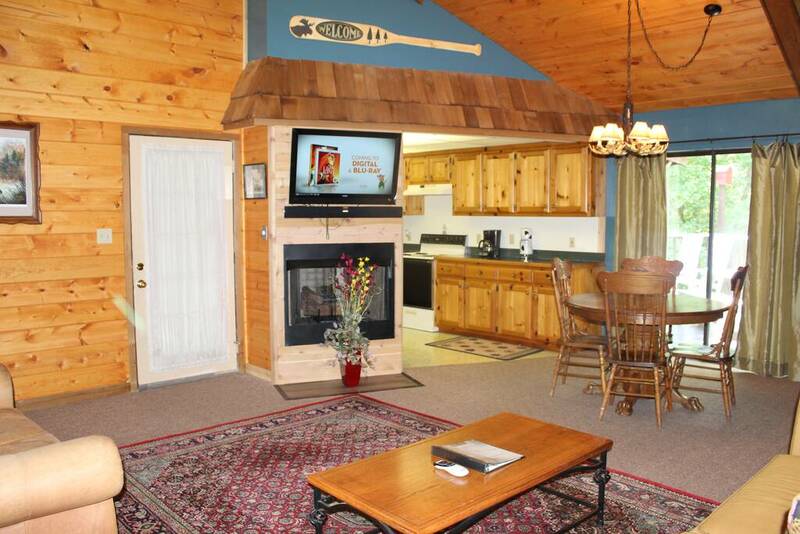 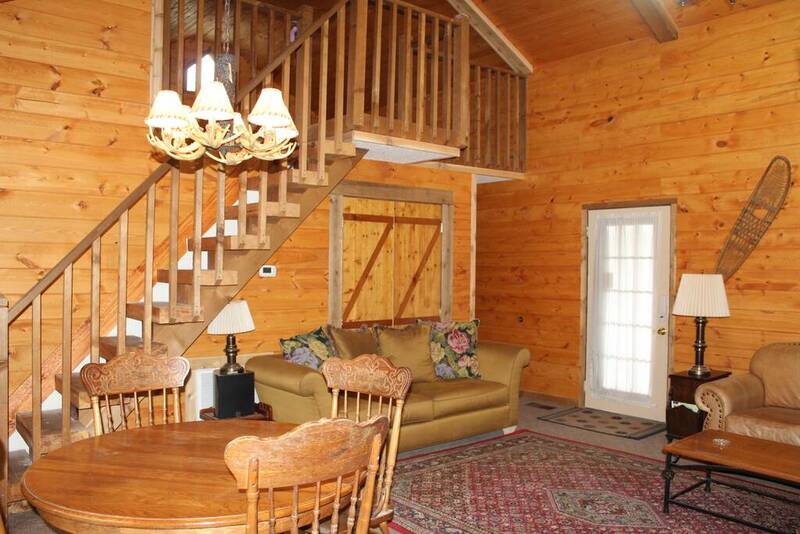 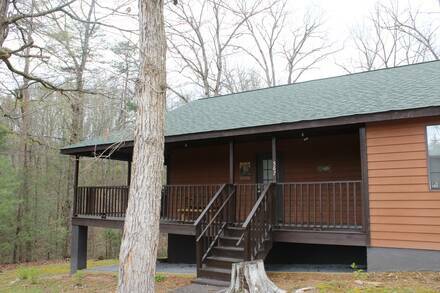 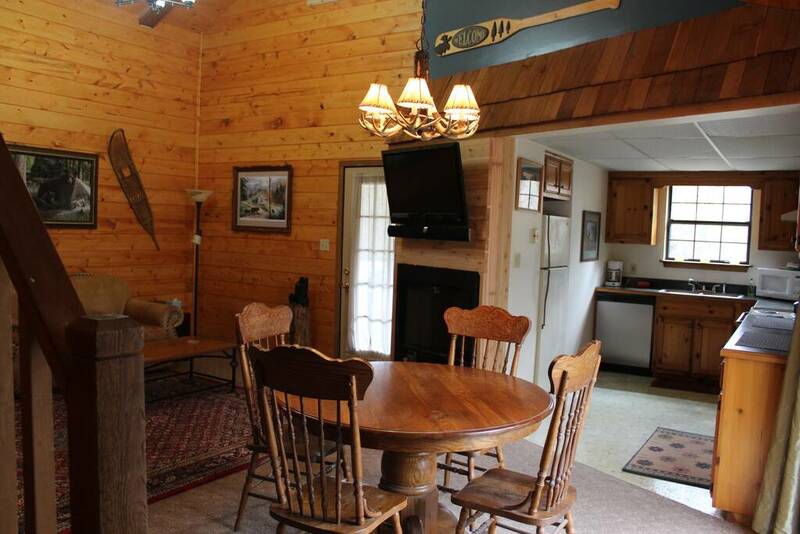 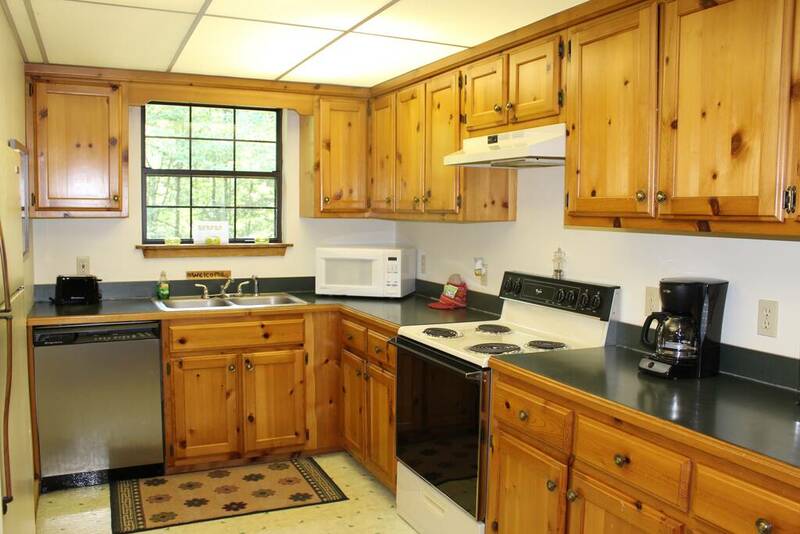 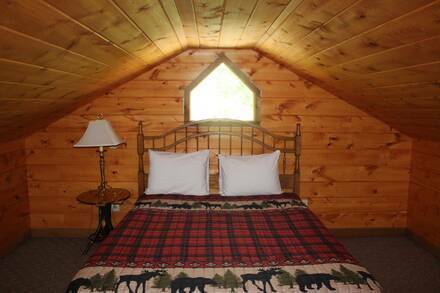 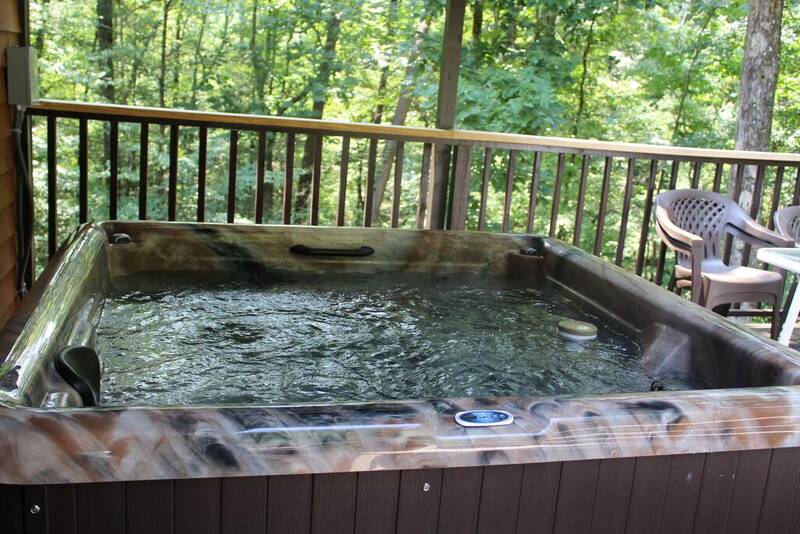 Make Smoky Mountain Memories with your loved ones at this two-bedroom cabin in Pigeon Forge. It is moments away from the national park and Gatlinburg attractions, yet offers plenty of peace and quiet. Turn on the fire and have a movie night in front of the large flat-screen television. 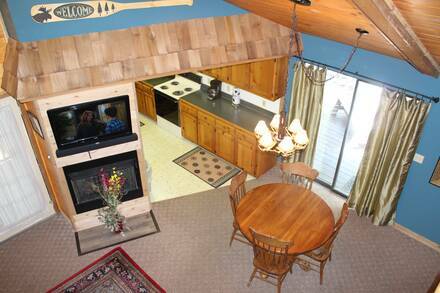 The fireplace is also near the dining room table, which adds ambience to either a family meal or romantic dinner. 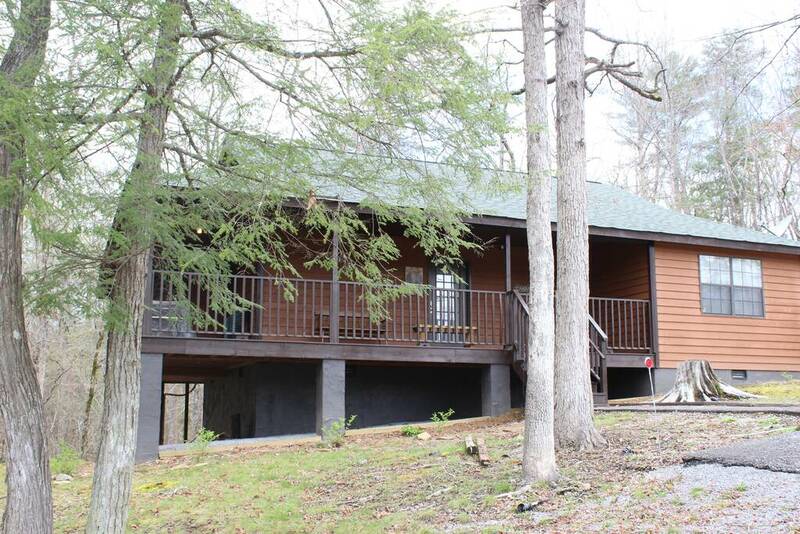 With a full kitchen nearby and gas grill outside, it is easy to save money on dining and make your Smoky Mountain vacation even more affordable. Listen to owls hooting and leaves rustling on the porch as you sit on the rocking chairs. 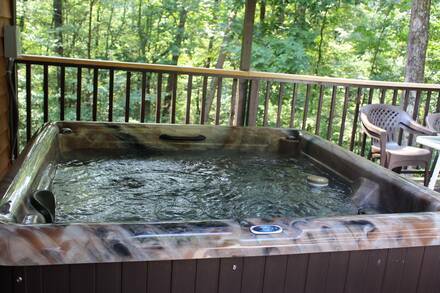 Get the hot tub going and let the bubbles wash your cares away. 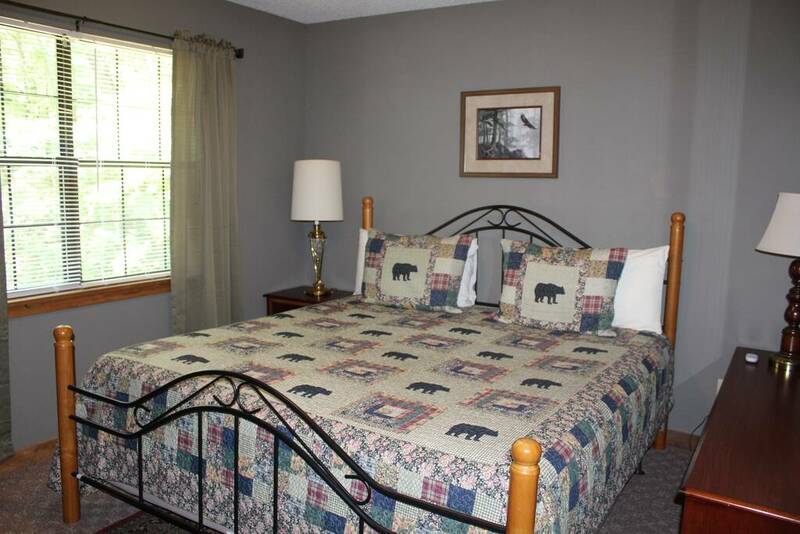 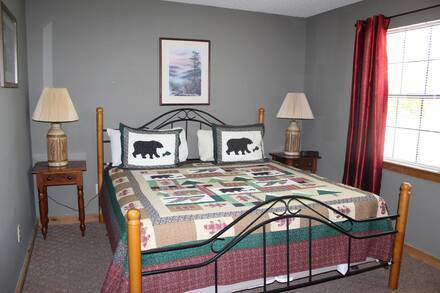 There are two king beds and a queen to accommodate up to six and, with 2.5 bathrooms, everyone will have enough space. Plus, guests are treated to a free pancake breakfast at Reagan’s House of Pancakes. 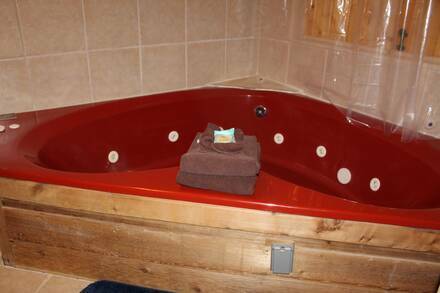 Book now and reserve your mountain hideaway, only minutes from hiking in the Smokies and Pigeon Forge amusement parks!